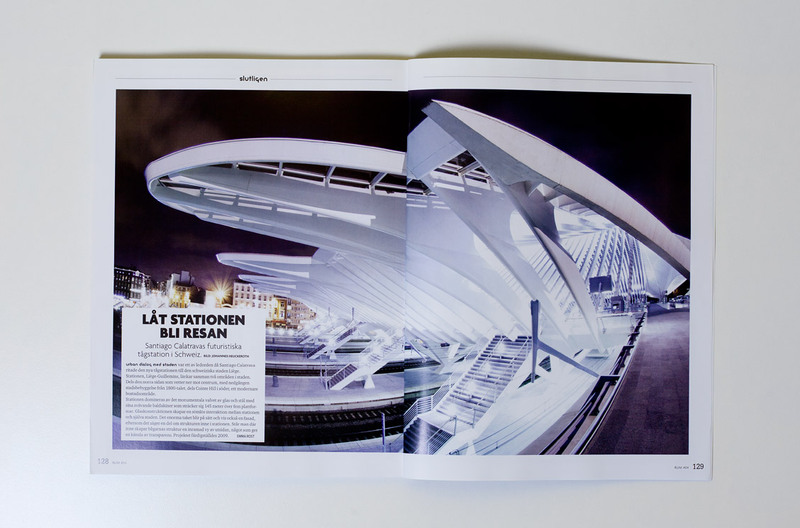 One of my photos from Liège-Guillemins was published in the recent issue of the swedish architectural magazine "RUM". Note: The railstation is located in Belgium, not in Switzerland, as the article says. 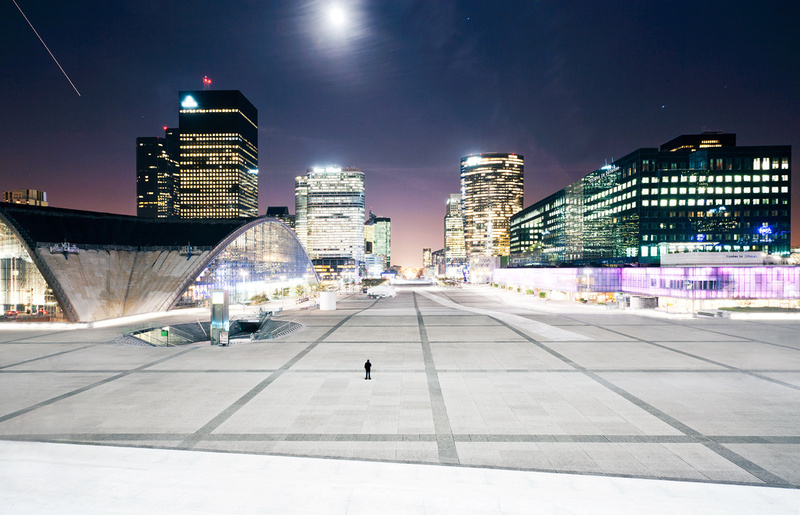 La Defense at Night. 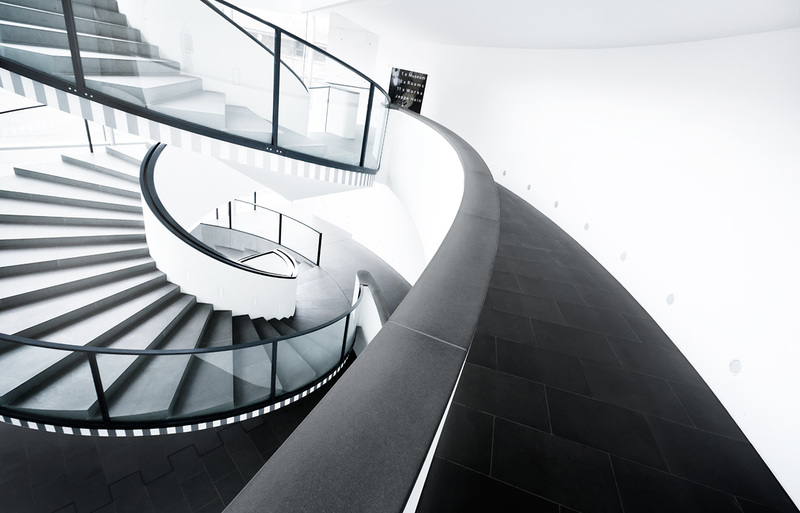 Exif-Data: Canon 5D MK II - EF 17-40 f/4 L USM 17 mm – ISO 100 – f/13 – 30,0 sec. 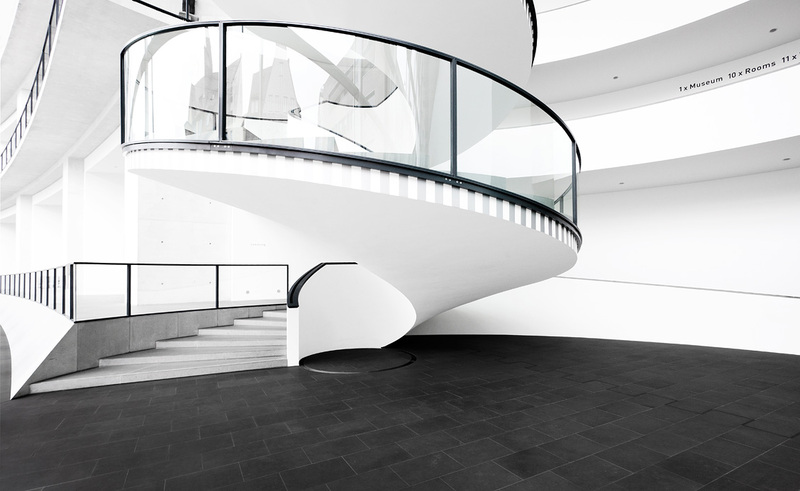 Three new photos from Neues Museum in Nuremburg, shot in february. May be you are wondering what this is ... Its a sculpture, called "Cheminée d'aération", made by Raymond Moretti, standing in La Defense in Paris. May be you already saw a picture of this colored thing on flickr. I had seem some photos from this sculpture before my trip to paris (asking myself "What is this? 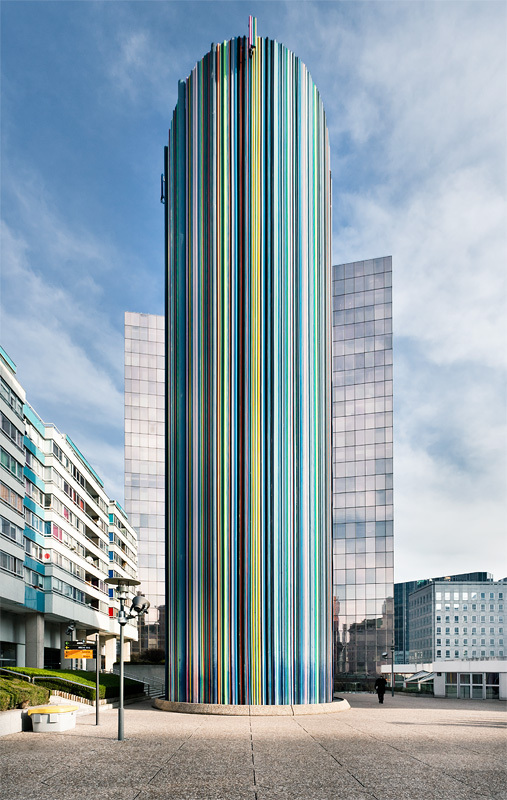 "), but did not know, that its standing in La Defense. So I walked around there and saw it accidentally, and remembered the photos I saw. 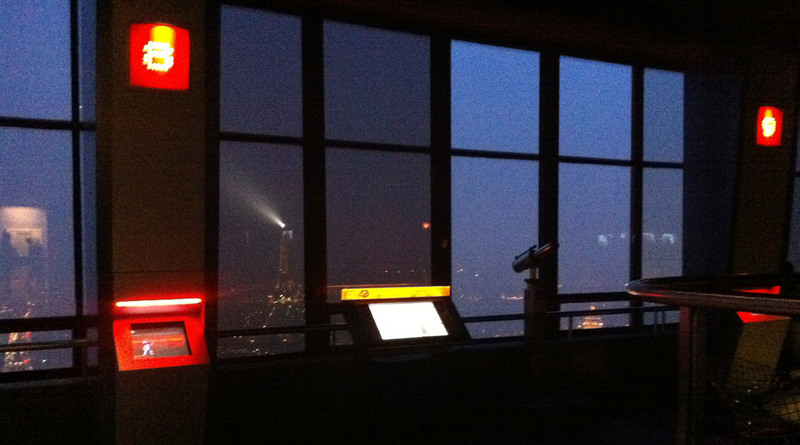 If you want to get a very great view on Paris you should visit the Tour Montparnasse. 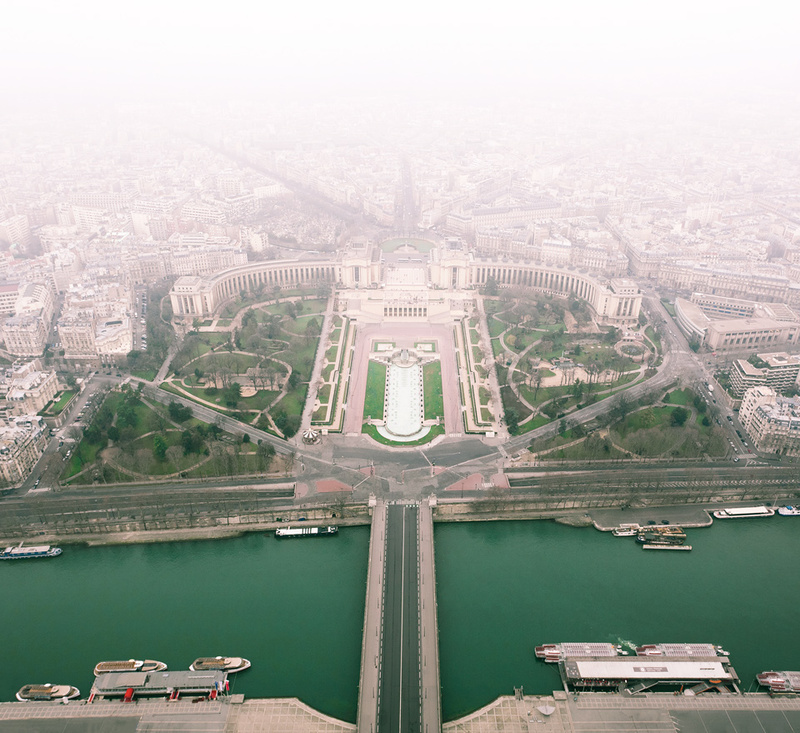 From the highest top plattform, a terrace, you can see whole paris, including the Eiffel Tower. I went there to do some dusk- and nightshots. But unfortunately the top plattform is recently closed. 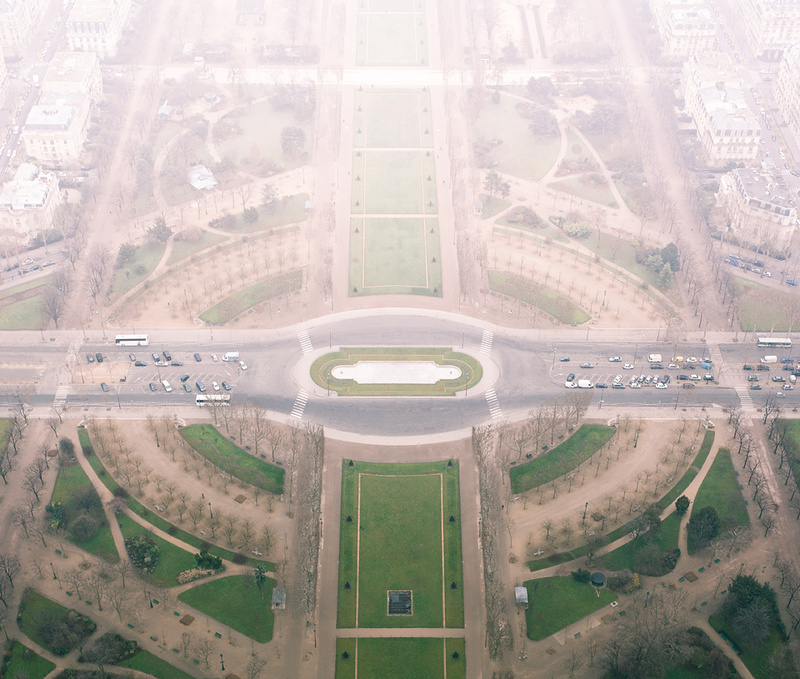 So I could only get to a lower panorama plattform, where you can look through windows on paris (You can see a picture below). I could not use my tripod and had to to some handheld shots with very high ISO. You can see the noise in the picture, thats the result with ISO 1600 on the Canon 5D MKII. It was a very cloudy day, so no great view, like in this great panorama on wikipedia. 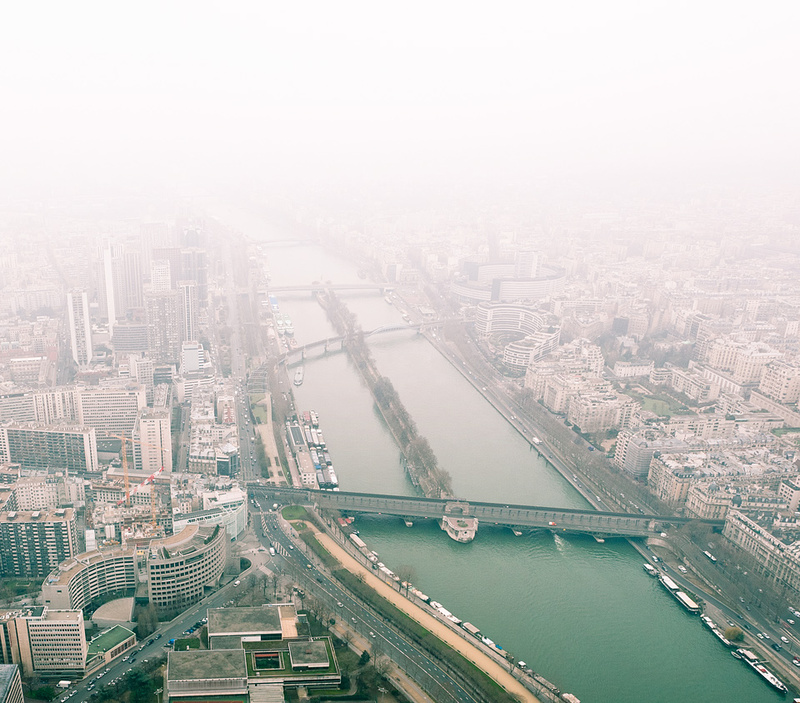 So if you search a place in paris to take a great panorama, or take pictures from the eiffel tower at night, this is the right place – with open terrace and better weather. 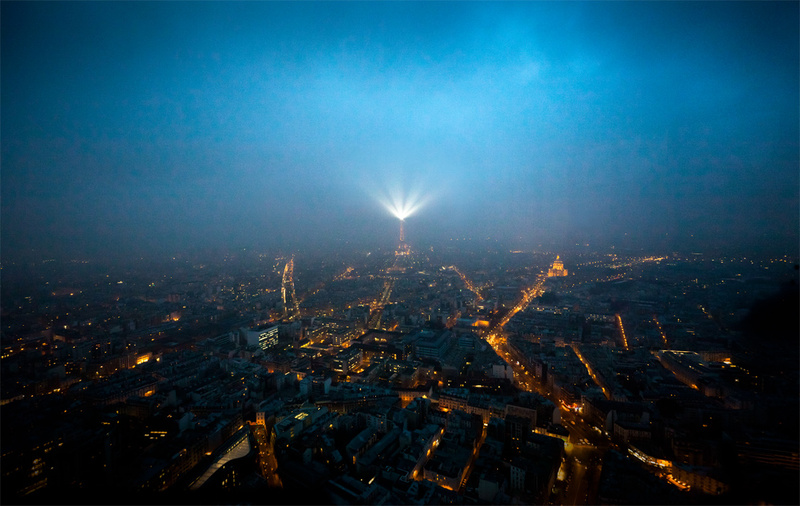 To catch the fast moving spotlight on the top of the eiffel-tower I made 4 shots, and combined them in photoshop. 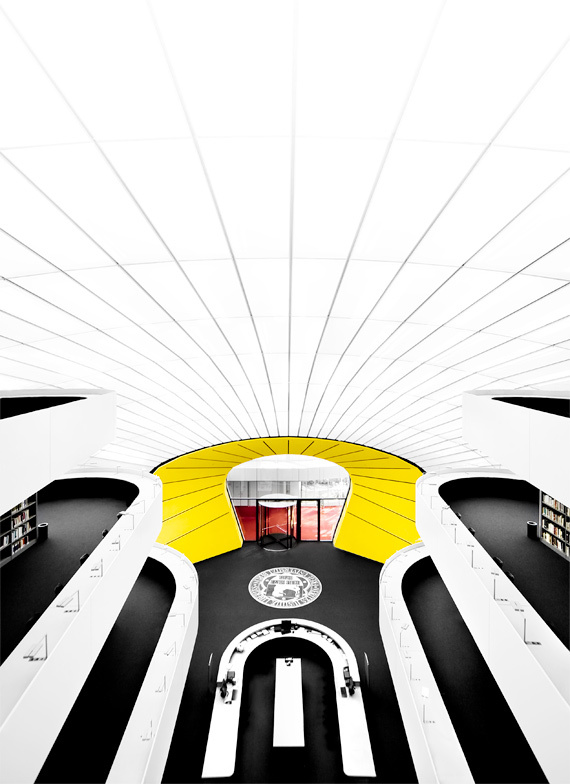 A photo from the great library "Philologische Bibliothek" in Berlin I shot in 2009. The library was built by architect Norman Foster. It was not so easy to get the permission to publish photos from there, but finally I managed it. I published a whole series from this great building, you can find the pictures here. This is an older shot from 2009. 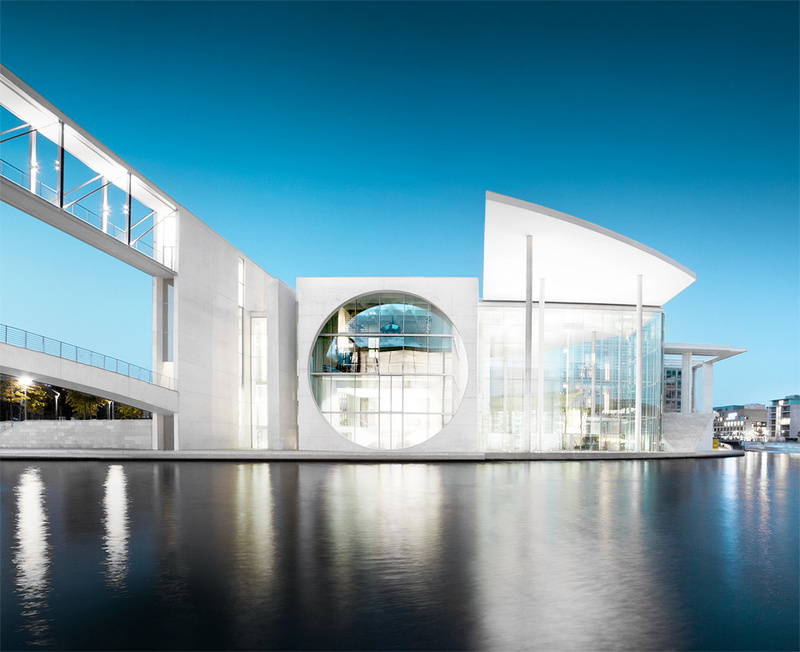 I visited Berlin in August 2009 for 5 days to shoot some architecture. 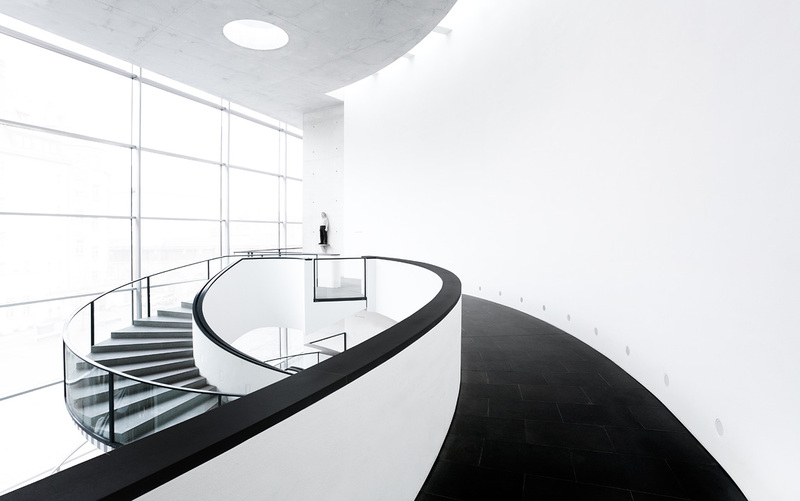 I published already two photos (1, 2) from the Marie-Elisabeth-Lüders-Haus, but I stumbled about this one in my archives and wanted to process it. 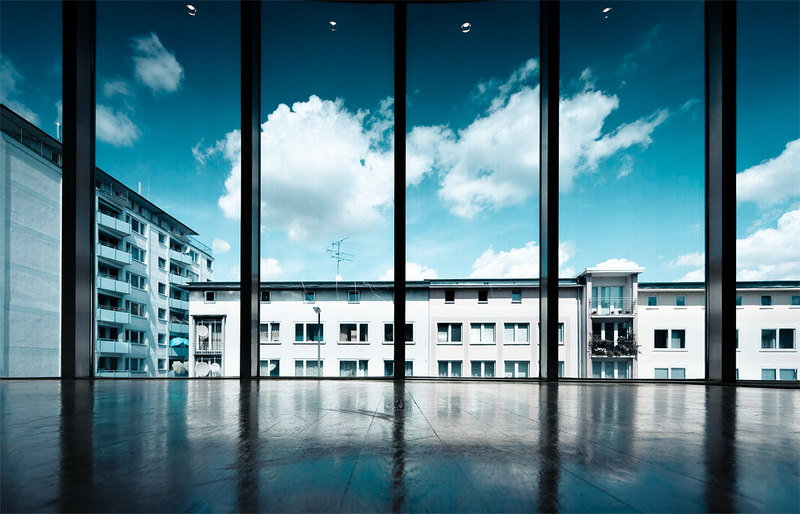 Its a more clean and straight photo of the building, and I suits more to my actual vision of architecture photography. I hope I will do some shots of this building in the future ... I read about an expansion, that is currently being built and will be finished in 2014. To make this photo was the main reason for my trip to Paris. About one year ago I saw this unbelievable photo from Thomas Birke. It just made "Click" and I knew: I have to make a photo from this spot. I also found some other photos from there and I watched them again and again, because I wanted to do a better shot. I don't know if it worked, but I am satisfied with the result. I started to make photos around 6 p.m. and I had to wait about one hour until the perfect moment in the blue hour around 7 p.m. 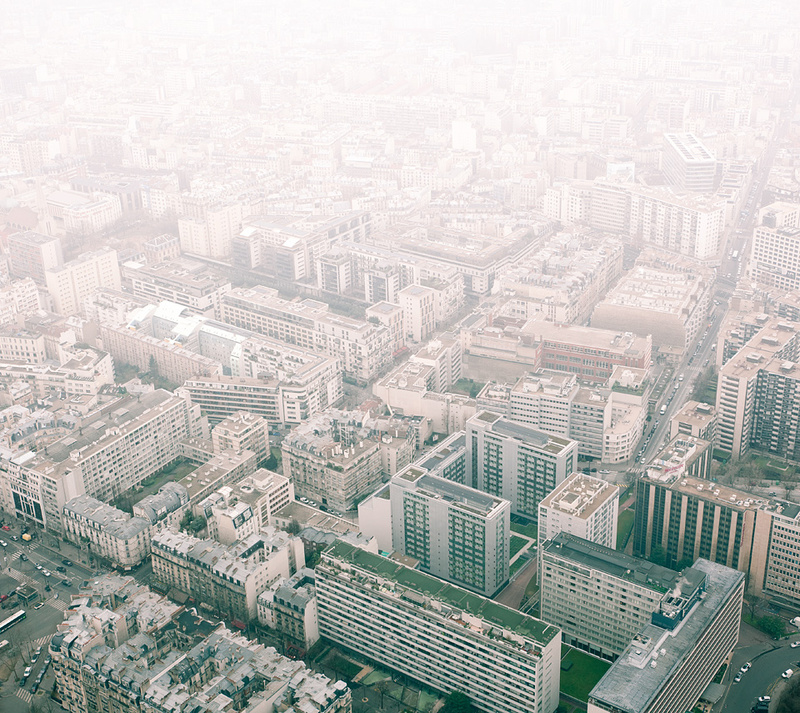 This photo shows everything, whats so fascinating about La Defense. Lights, fantastic architecture and different levels. The traffic level is under the ground and you only see this level from some spots. This spot is may be the most interesting. 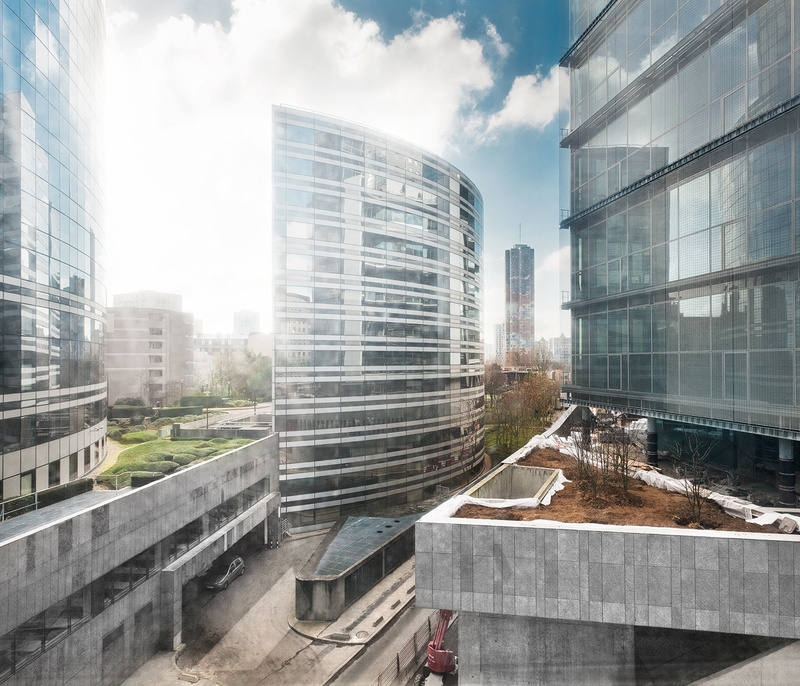 This place shows also the transition from the business district La Defense to the suburb Nanterre on the left side in the background. The contrast between architecture style and also color temperature is very interesting. 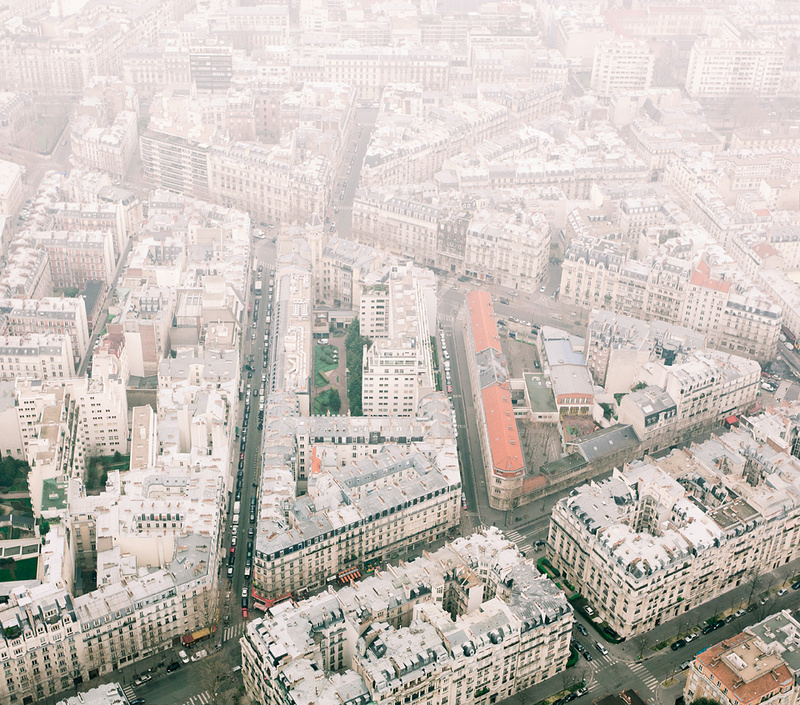 I wrote about my trip to Paris last week, and now the first photos are online. 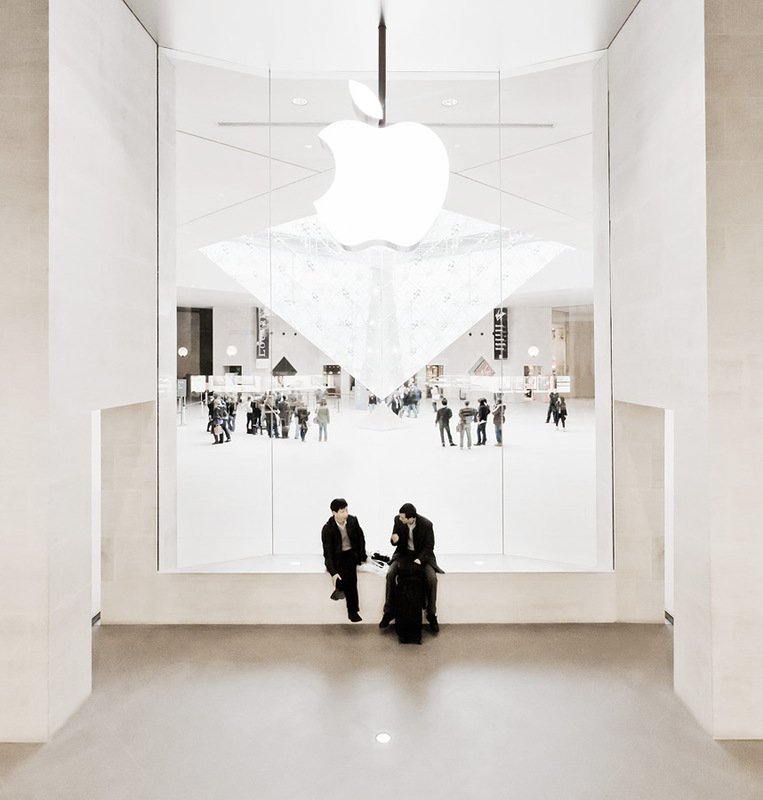 I finished the series from the Paris Apple Store, located at the louvre. 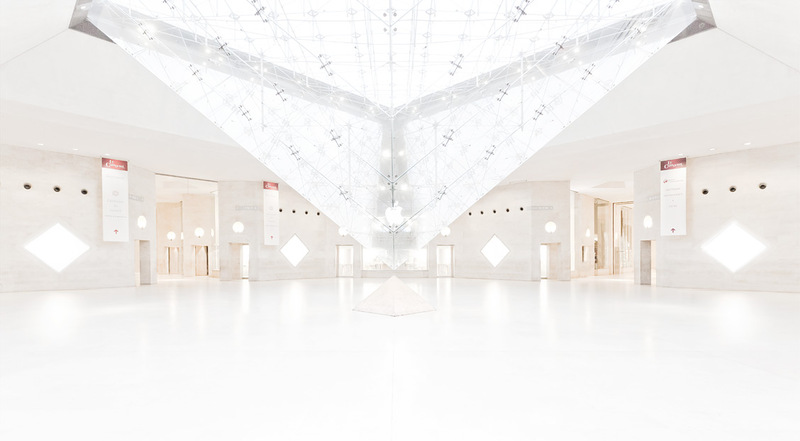 In the louvre there is a shopping mall, called carrousel du louvre, where you can find the store (free wifi there!). Making some clean photos from this place is not easy, because there are a lot of people walking around. The carrousel opens at 8.30 a.m. and thats the only chance to make photos like you see below I think. Five minutes later and everything is crowded. 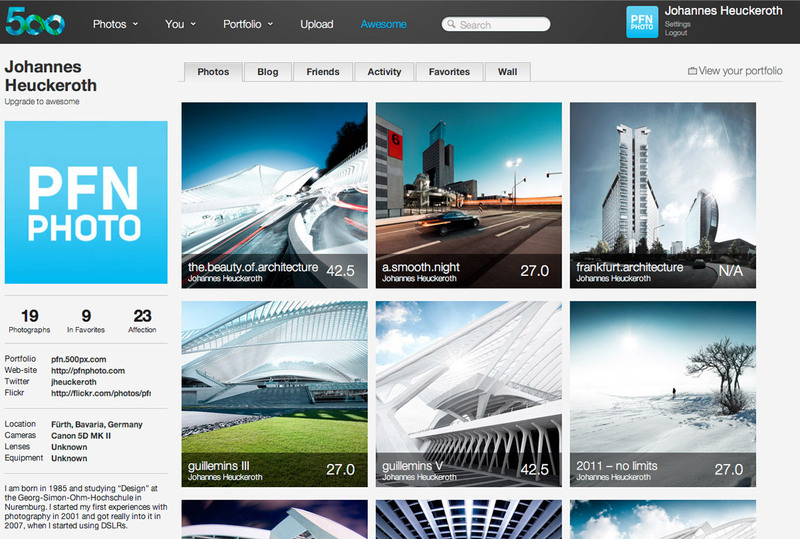 You may be know the new fancy photo network 500px.com, it looks and works great, and you can find my profile here. 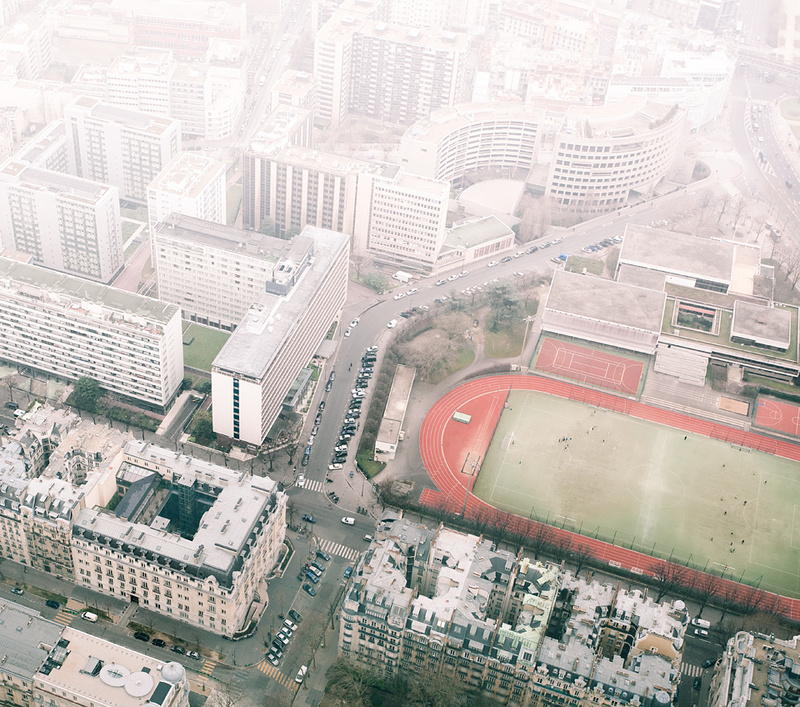 Last week I visited Paris to do some architecture shots. I took the ICE from Nuremburg to Frankfurt, and from Frankfurt to Paris. Above you see some iPhone Shots from the trip. 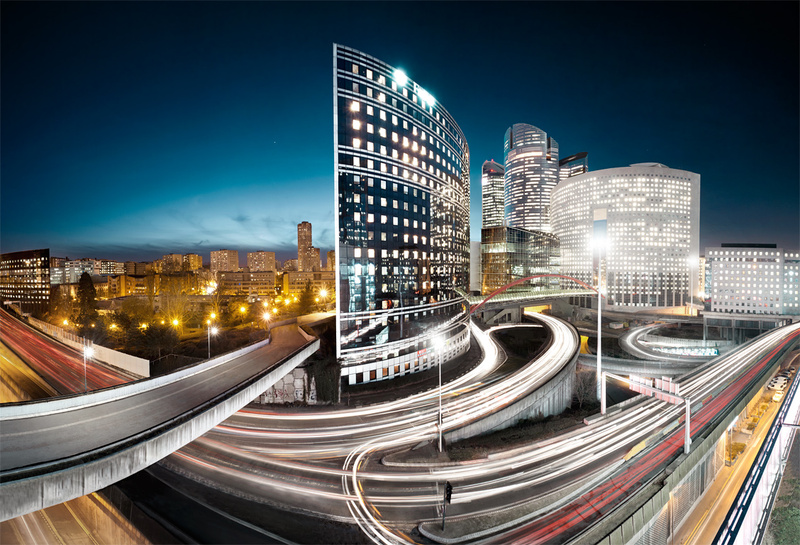 In Paris I had a hotel near l'Arc de Triomphe, from where I could reach my favorite area very fast: La Defense. 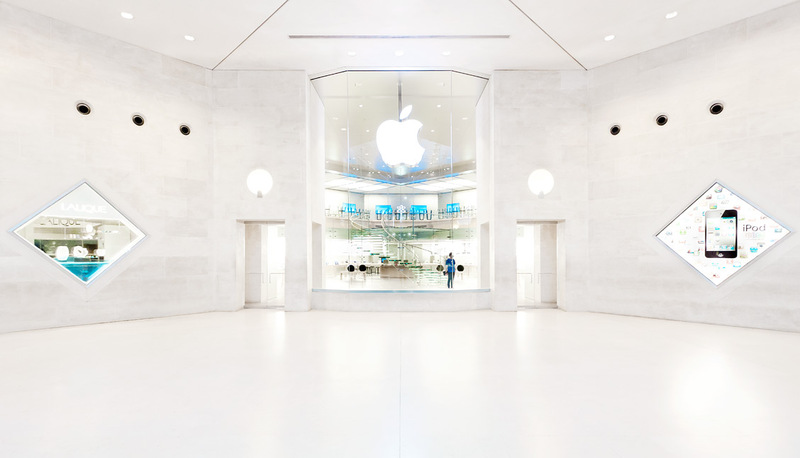 This futuristic and very big area is full of interesting contemporary architecture. For me it was like a paradise. Two days I only did shots there. Especially at night you can do fantastic shots. Below you see some iPhone photos from the motives I shot there. The postprocessing will take some time, I will show the final results here. The third day I used to visit the touristic highlights like the Eiffel Tower or the Louvre. 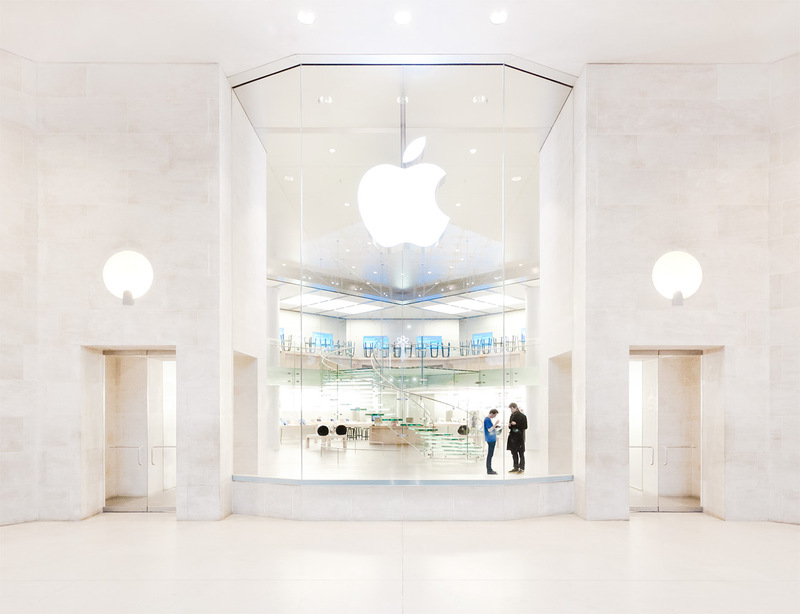 In the Louvre, at carrousel du louvre, is located the paris apple store. I wanted to do some shots, but there were too much people hanging around. At dawn I visited the tour montparnasse, but the highest viewing plattform was closed, so I only could do some High-Iso shots without tripod through the window of the lower plattform. 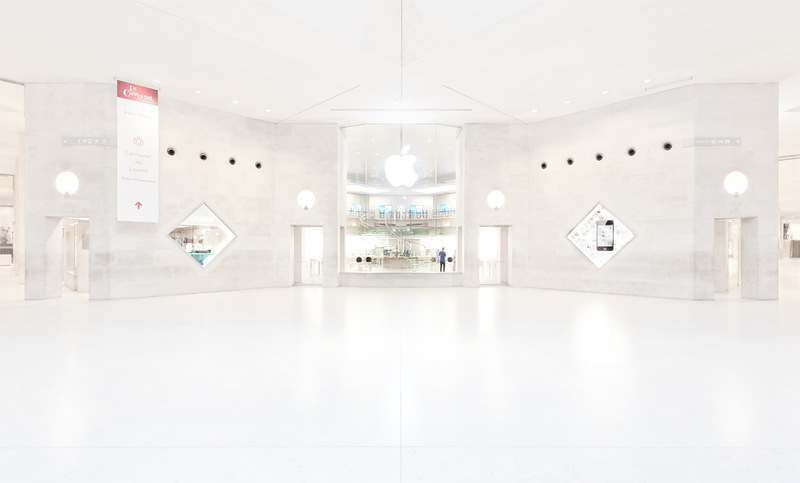 At my last day i returned to the Apple Store at 8.30 in the morning before my departure to do some photos when its empty. I will also show the photos here, when the postprocessing is finished. 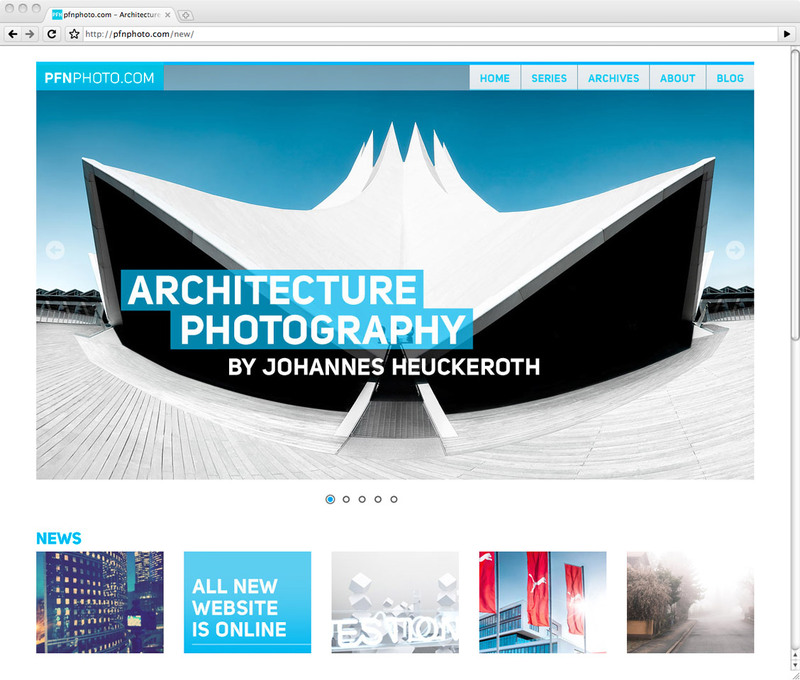 After three days of work, the all new pfnphoto.com is online. I wanted to do some changes long time ago, but never did it, since my website started in January 2008. Now three years after the launch, it was time to do it. 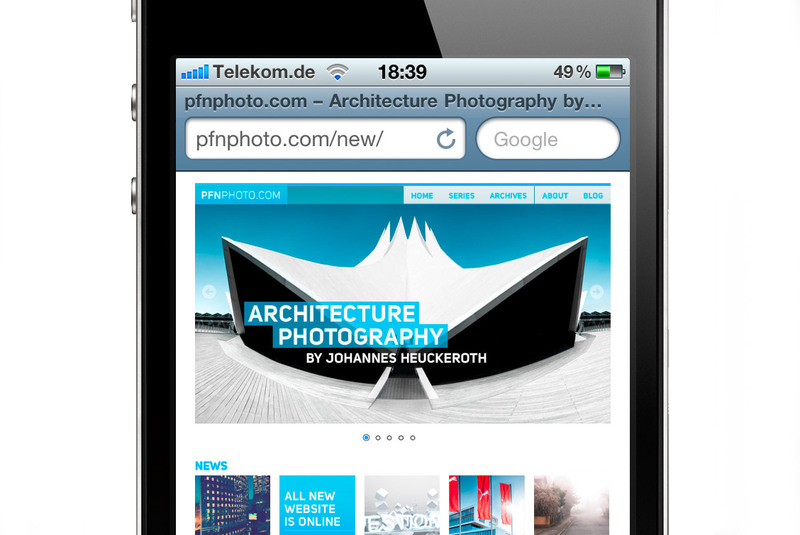 The old version worked with Pixelpost, a very good and small CMS for photoblogs, but also very limited. So now WordPress 3.1 works in the background with my own theme. Now I have the possibility to publish series, not only single photos. Thats very important for me. For the beginning, 12 architecture series are online. Some landscape series will follow. Also as you can see here, I have now a blog for written impressions, and I will share some more thoughts in the future. I will try to write them in english, but I cannot promise it. I already put online some articles. Some technical details: Its not everything perfect, some work to do, for example optimizing for mobile plattforms. On iPad and iPhone it already works good I think. I tried to make the design responsive, what you see depends on your resolution and your browser. With resolutions above 1228px you get the full joy with a image width of 1128px. This should work for 90% of my visitors, according to the statistics for the last months. 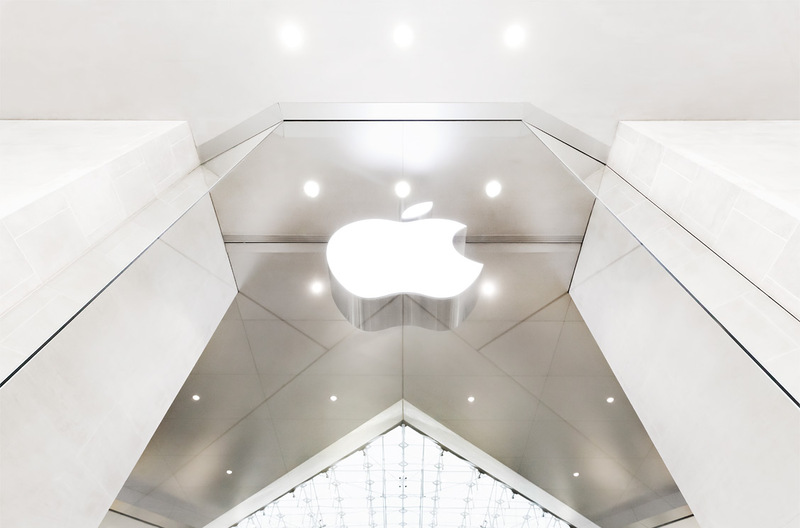 For visitors with a lower resolution around 1024px, or people with iPad or iPhone 4, the image and blog width is 898 px. For devices with a resolution below 800px there is a special, but also limited version. May be this works on some smartphones and the iPhone 3 but I could not test it. You should use a modern browser like Safari, Chrome or Firefox to get all features. With Internet Explorer you only get the 898px width.